Good morning. I made revisions to what I submitted last week. On Nov. 7 2017, after [failing in] a dirty political campaign, Civil Air Patrol icon Richard L. Anderson was soundly defeated for the 51st House District Delegate seat to the Virginia General Assembly. He held that seat, representing Prince William County in Northern Virginia, for four terms since his first election in 2009. 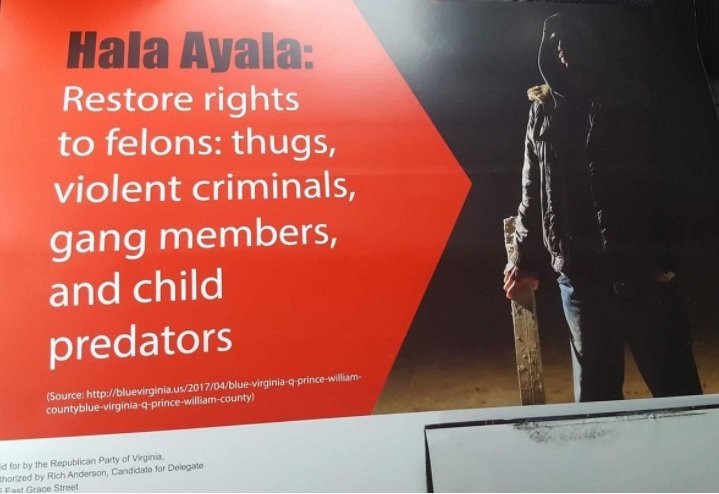 These mailers, labeled as “authorized by Rich Anderson Candidate for Delegate,” included a photo of a man wearing a hooded sweatshirt and holding a blunt weapon. Ayala, who bested Anderson by 53% to 47%, told interviewers that “I think this is the lowest of the low that you can get. These are just downright racist campaign tactics.” As I am writing and continually revising this article, I find that I agree with her as do a few of my silenced friends who are members of Civil Air Patrol. Anderson’s voting and endorsement record was quietly circulated around the membership. • Richard Anderson failed the 2017 Political Courage Test refusing to provide voters with positions on key issues. Older Civil Air Patrol members often remind the new recruits that Rich Anderson, as a former National Commander, had the lowest Civil Air Membership numbers in recent history. He is the one who advanced Paul Bergman, James Bobick, Richard Bowling, Dwight Wheless and Antonio Pineda. Anderson is one large reason that the Civil Air Patrol has declined and tanked in reputation. To that point, CAP Col Regina Aye is Civil Air Patrol’s North Central Region Commander. She’s a Spaatz cadet who went on to become… a community college graduate. She studied at Allen Community College before moving on to first job there as an administrative assistant. From there, she advanced to “administrator” at the same community college. 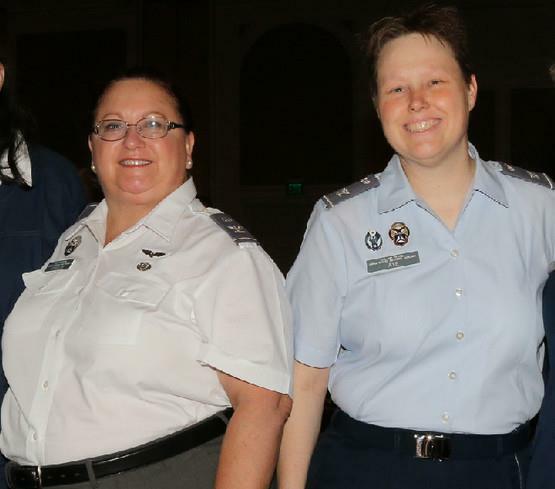 Another incredible Spaatz cadet “success” story! What does Rich Anderson have to say on Regina Aye’s incredible success? Some CAP members deride those who anonymously share news of Civil Air Patrol corruption and abuse as if they are cowards. Nevertheless, these findings of molestation, abuse, intimidation and reprisal reported in the legal system and in the media are still facts. They don’t become any stronger or weaker based on who is sharing them. Officially, Civil Air Patrol’s policy is that members who are not PAOs and issuing the approved corporate line cannot communicate with the media. On March 23, 2015 [CAP] Colonel Jeffrey Wong reminded our Hawaii Wing members and the Hawaii Free Press of this fact with threats of disciplinary action for exposing the Civil Air Patrol document forgery of Eduardo Zayas and the ensuing reprisal of resource shuffle. To comply with CAP regulations while sharing already public news of the disgrace, members are required to be anonymous. 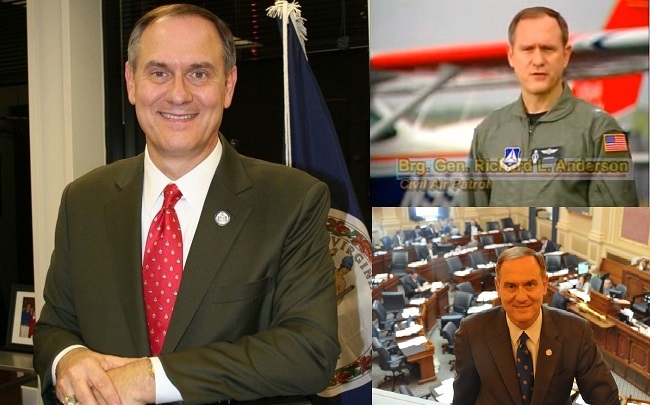 10 Comments on "Civil Air Patrol’s Richard Anderson Loses in Virginia"
It looks like CAP’s Rich Anderson who lost his Virginia delegate seat in 2017 to Democrat Hala Ayala still has some fight in him. Today, former Virginia Delegate Richard L. (Rich) Anderson announced his candidacy for Virginia’s 51st House District seat. As I think about my many blessings this Thanksgiving eve, I count among my greatest the high honor of representing you and your family at home and in Richmond. As many of you know, I was not elected to a fifth term in the Virginia House of Delegates, after serving eight years in Mr. Jefferson’s Virginia State Capitol. As one who took a federal oath on seven occasions as a 30-year career Air Force officer, followed by a Virginia state oath on four occasions as the 51st House District Delegate, I respect the voters and congratulate my successor as she prepares to serve for the next two years in Richmond. Many have asked about my future plans, and I will simply say this: In the coming months, my next steps will reveal themselves to me and I will pursue them. One thing is certain: I will remain in public service in some fashion. It’s in my DNA and I know nothing else. I don’t fish, so I won’t go fishing. I don’t play chess, so I won’t sit in front of a chess board. For my entire adult life, I have been in military and public service. It’s all I know. So I will be in public service—and will in fact have a larger footprint of service in Prince William County because of my lessened presence in Richmond. Ruth and I sincerely and warmly wish you a very Happy and Blessed Thanksgiving…from our home to yours…from our family to yours. Thank you, Prince William, for the high honor of public service. CAP Cessna 172S N992CP at KPTK Pontiac Michigan. Aircraft on taxi, wing struck a sign. He was Nat CC when I joined CAP in 1993. The main things I knew about him is that my first squadron CC, Major Larry Landick (later INWG CC and who was always nice to me) knew him quite well and frequently met with him at Maxwell. He told Major Landick that CAP would never get blue shoulder marks/hard rank back (this was in the beginning of the “berry boards” era; I never got to wear the blue shoulder marks though our squadron had some of them left over in stores) because of the “Harwell incident” that caused CAP to lose them (and which is vehemently denied by the cheerleaders over on CAPTalk). I should mention that I never have met BGen Anderson and did not know about his political career, though I remember that it was during his tenure that CAP, in many ways, stopped being CAP (loss of blue shoulder marks/hard rank, beginning winding down of CAP-RAP and beginning winding down of wing LO’s/LNCO’s). I suppose Anderson started the downward spiral continued by his successors. But why on earth is Colonel Aye wearing the blue uniform? Because no-one will call her on it? Everyone in PWC knew what was coming except the low performing local PWC GOP committee. If you understand what it takes as a committee to GOTV you are not caught off guard. If you are paying attention you are not caught off guard! If you have strong leadership, you are not caught off guard. Anderson and the others were the problem. The PWC GOP has a long history of being one of the more under performing committees. 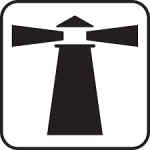 Current leadership was driving membership into the ground. Totally clueless! Feel good measures with their community outreach is simply a smokescreen to hide what is really going on from those that are members with that committee. Never Trumper Marty Nohe who supported Gillespie in the Va Gov primary loss in his own precincts some by over 60% to Stewart. He is a little guy in politics trying to be somebody! Jill Vogel outperformed Ed Gillespie by over 55,000 votes because she embraced President Trump and his supporters so that tosses out Nohe’s biased opinion it was a President Trump! “Democrats were obviously energetic and motivated, and I think a lot of Republicans were not motivated, because of what amounts to a do-nothing Congress,” said Del. Rich Anderson, a Republican who lost to Democrat Hala Ayala in the 51st District. I agree with Rich….we do have “a do-nothing Congress”. Congress, particularly the Republicans have done nothing for the CAP. They enjoy their photo ops with corrupt CAP leaders as they have allowed the corruption to grow. The Republicans are a wasteland of nothing. The GOP will lose again in 2018. It is about time more information on Rich Anderson came out in the funny papers. Michigan Wing Conference? I wonder if I could borrow Celeste Gamache’s belt to tie up my boat. Its just about the right length. I could also use Phil Hiron’s belt as a back up ! Very fit individuals. I wholeheartedly agree with what this author has submitted. If Anderson had never been the national commander, the CAP would be much better off today. I will tell/show you some stories about his CAP mishaps and blunders. Check your inbox.